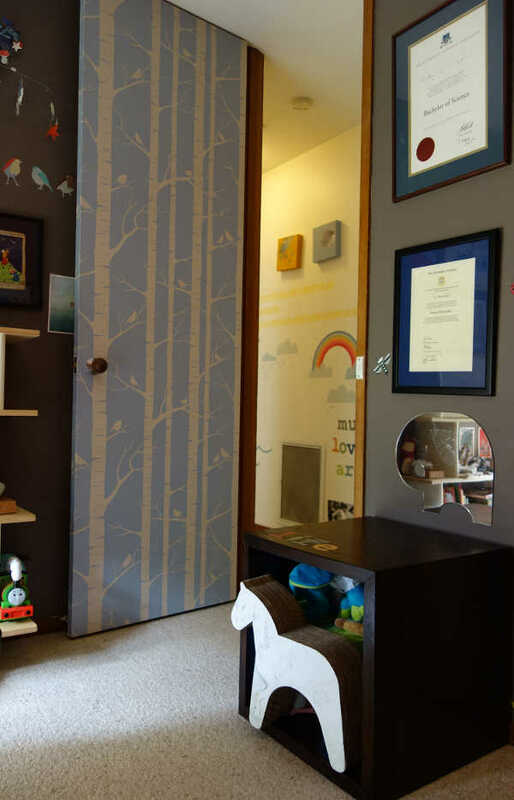 This amazing little boy’s room just has to be seen to be believed. It’s left of centre and one of a kind. 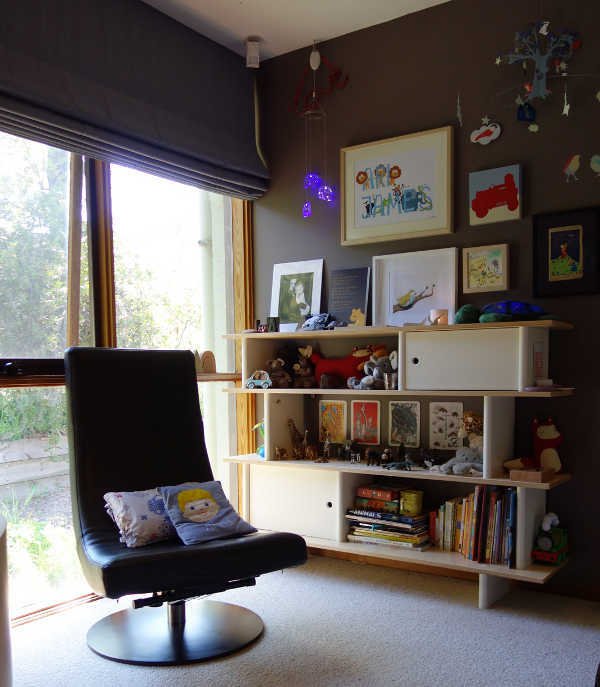 Ari’s bedroom began life as his mum’s study. 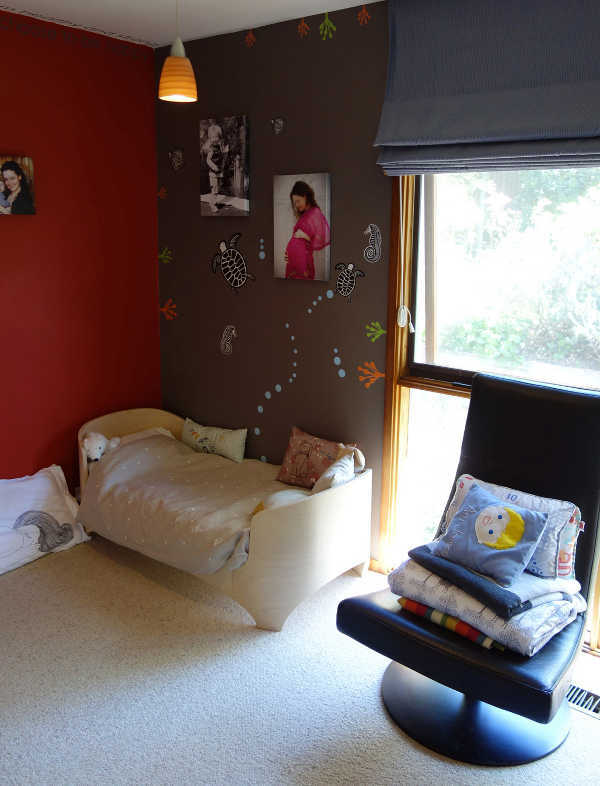 The paint scheme for the study was cosy and warm colours, and as happens when you’re preparing to have a baby, Sara simply ran out of time to repaint. But she’s terribly happy, as the intimate colours work perfectly in Ari’s room. The Leander bed was the first piece of nursery furniture I fell in love with while pregnant. It’s also one of the few things I bought in a physical shop before I discovered Babyology and the joys of online shopping. The pillow (and usually a rug) on the floor are for me to lie on as my son takes hours to get to sleep. You’ll see the bookcase is stacked with items, many of which have a story. 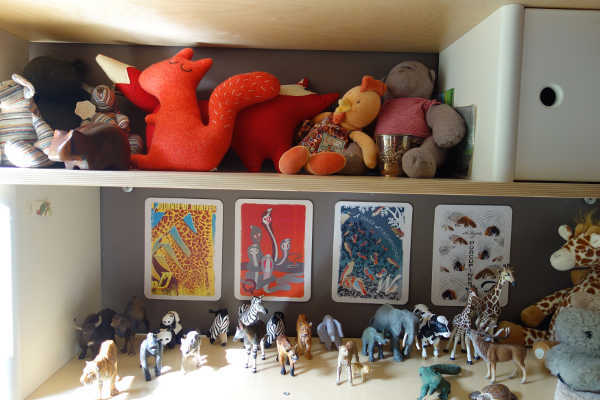 There are recycled cotton stuffed animals, white cardboard puzzles and wooden animals blocks from MUJI that I bought in Paris before I was even pregnant. Everywhere you look there’s a beautiful corner stuffed with interesting artefacts and keepsakes. 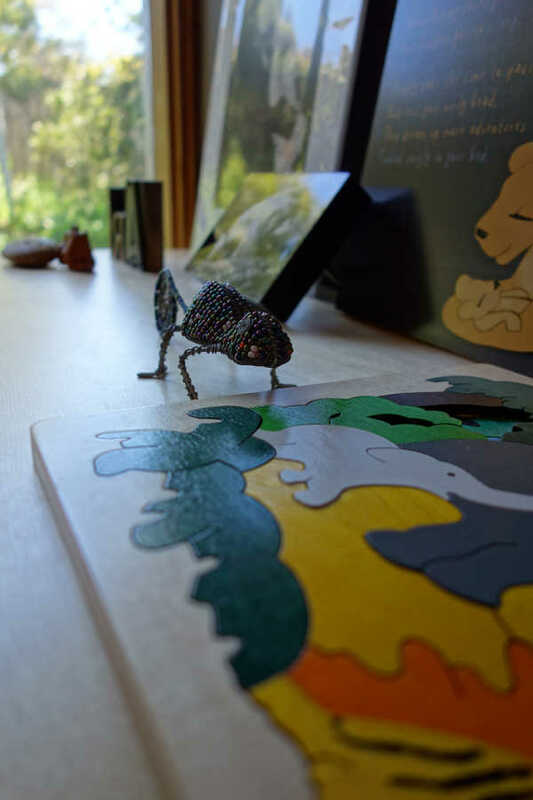 Artwork plays a big part in Ari’s room, and one piece in particular is aimed at inspiring the toddler. 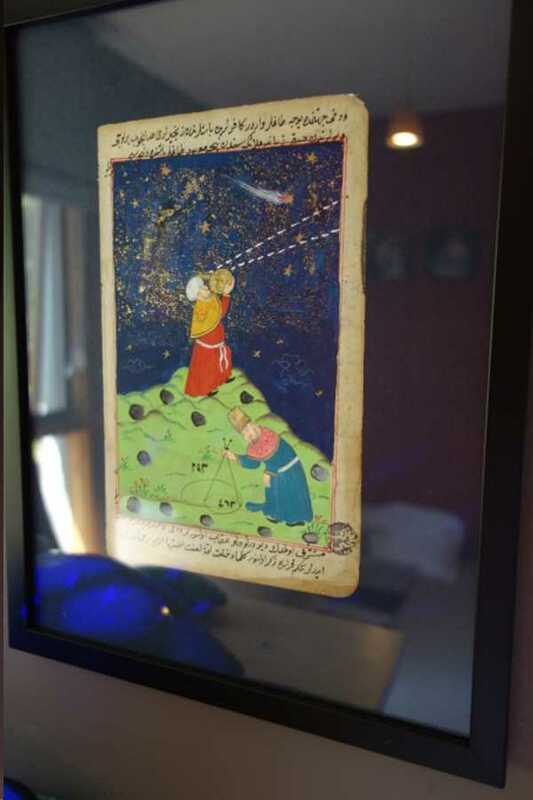 It’s a piece of illustrated manuscript Sara found in Turkey, depicting two astronomers.